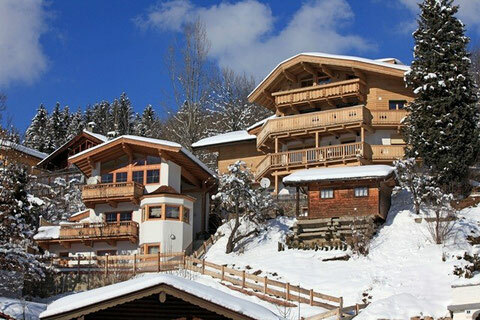 In one of the most popular living areas of Kirchberg you find our house Schoenblick at the foot of the mountain. 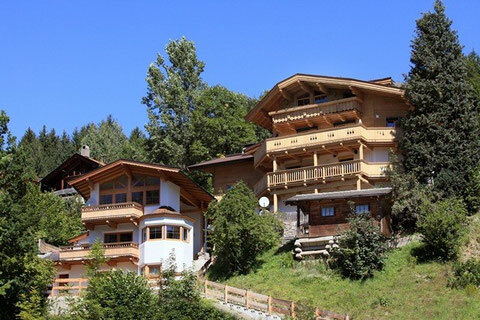 With a breathtaking panoramic views on the village and to the surrounding mountains of the Kitzbueheler Alps you can enjoy beautiful holidays. Into the centre, it is a walk about a few minutes and to the nearest cable car your drive by car just about 5 minutes, which transported you up in the Kitzbueheler Alps. You will see, holidays in the Tyrolean mountains in our „house Schoenblick“ makes more addicted to…..
We are looking forward to give a warm welcome to you soon! In summer especially Kirchberg provides an extensive range of leisure activities for a holiday in Tirol. Cycling, hiking, golf, swimming and many other activities make your holiday one which is rich in variety. Enjoy an active and sporty start to your day, surrounded by a unique backdrop of impressive mountains, wide valleys and refreshing lakes in the summer in Kirchberg and the Kitzbüheler Alpen! Kirchberg provides optimal conditions for active holidays in Tyrol. Be it cross-country skiing, skiing, ski touring, winter hiking, ice climbing or other activities - Kirchberg in winter is the perfect starting point for winter sports. The region in Tyrol provides every opportunity for those wanting to spend their holidays doing sports and activities. Not many words are needed to make guests smile in Kirchberg. Because in the middle of the Kitzbüheler Alps, only 6 kilometres from the world-famous city of Kitzbühel, the diverse mountain landscape and Tyrolean hospitality speak for themselves. The impressive church on the mountain gave the village its name and is characteristic for the idyllic appearance of this place. 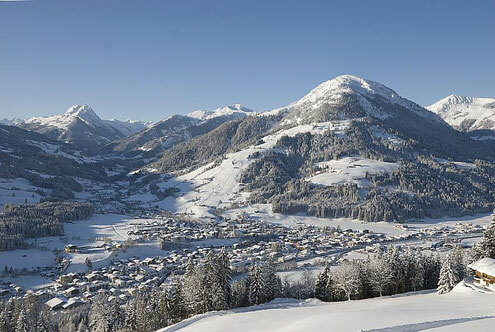 Kirchberg in Tirol offers a variety of sports possibilities as well as recreation facilities. Therefore, this place can also be described as an oasis of nature, sports and hospitality where tradition – for example at Corpus Christi – is of great importance.